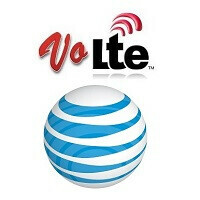 VoLTE support has come to the AT&T branded Samsung Galaxy S4 mini. An OTA update has been pushed out today, and once it is installed, your Galaxy S4 mini will be able to make calls over AT&T's 4G LTE pipeline. The update will also allow you to make emergency calls to 9-1-1 without having a SIM card plugged into your phone. AT&T is requiring you to have a Wi-Fi connection when downloading and installing the update. After all, depending on the version of Android currently employed on your phone, the file could range in size from 102MB to a whopping 595MB. And make sure that you have a sufficient charge on your phone. Considering the possible size of the update, you might want to have the battery charged to at least 50% before you proceed. As with most OTA updates, AT&T is sending this out in waves. That means you might not be one of the lucky ones who receives it today. In fact, it might be several days before it arrives. You can try to coax it our of your phone by going to Settings > More > About > Software updates. "The update will also allow you to make emergency calls to 9-1-1 without having a SIM card plugged into your phone." Interesting. Wonder if this is the first step in moving to e-SIMs. This update isn't enabling VoLTE. It has been available to use on the phone for a while now (I believe since it was launched.) I work for the company and have used this device to demo HD Voice (VoLTE) to customers. Our unit in store is still running on the software it was shipped with at launch and HD Voice works just fine. I also work for AT&T( as a tester) and you are right. I've been testing VOLTE in a northeastern market for a few months now but using special SIM cards. Primarily we were testing 911 capability while on VOLTE, which would not work in any market without these SIMs. For example, you could be on LTE and call 911 but it would drop back down to HSDPA during the call. The update seems to activate VOLTE calls while using emergency services. Is the M8 capable of having volte?